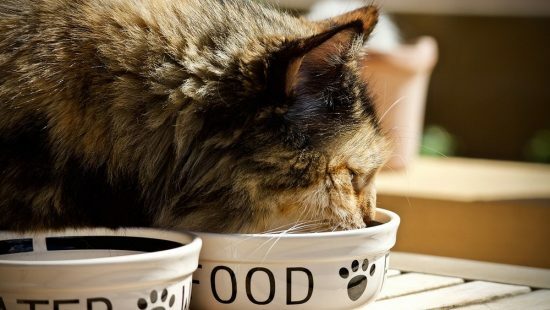 Wet Cat Food vs Dry Cat Food: Which is Healthier? Get our take on the age old debate of dry cat food vs wet cat food. 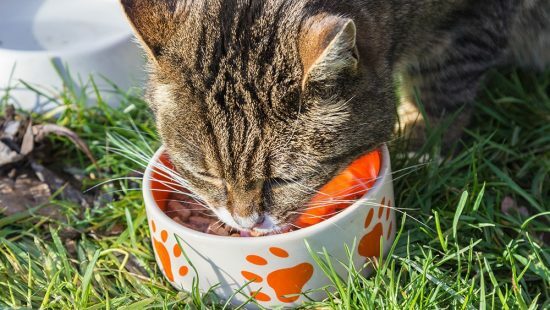 We take a quick look at the nutritional differences and how you can ensure your cat is fed a nutritionally complete diet. The discussion of whether dry or wet cat food is best often divides cat owners’ opinions sharply. 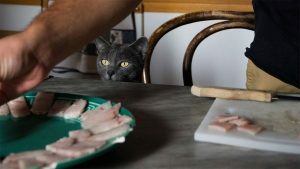 While there is an element of personal preference to the debate, there are some clear differences between the two food types that should be understood by owners who are looking to make a choice between dry cat food and wet cat food. Let’s start by talking generally about what nutrients make up a good healthy cat food. 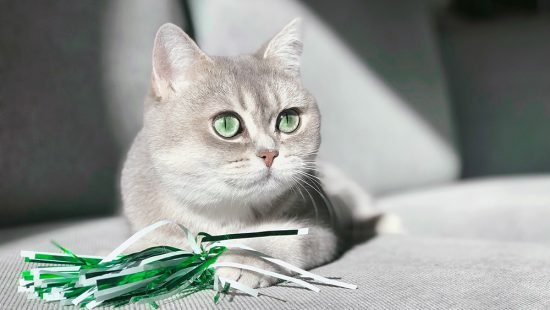 Having a rough idea of what cats’ diets require will put you in good stead to decide whether dry, wet or a combination of both suits you and your cats’ lifestyles best. Cats evolved on a diet that consisted of animal proteins from the prey they catch. This means your focus should be on high protein content food, regardless of whether it’s wet or dry. Animal meat also contains taurine, another nutrient that you’ll often find listed on cat food packaging. Taurine is (kind of, but not technically) an amino acid that is involved in a lot of cellular activities but most notably affect cats’ vision. It’s very important in kitten food for promoting healthy development. There’s no denying that dry cat food is convenient for us. It can be left out without spoiling and gives us the ability to schedule our cats’ meals with an automatic cat feeder. It’s also typically cheaper than wet cat food. Rest assured that the best dry cat foods are nutritionally complete. Though you’ll find plenty of articles that state that dry cat food leads to a higher chance of obesity, remember that it’s how you feed cats that leads to obesity, not the food itself. Leaving cat food out around the clock for them to eat at leisure (free feeding) can indeed lead to weight gain in cats. Inappropriate portion sizes (we’re all guilty of it), can also lead to changes in weight, though these aren’t flaws of the food itself, but rather your own feeding habits. When dry cat food is portioned correctly, it can also be an effective weight loss food. Good wet cat foods contain lots of animal meat (fish, chicken) along with plenty of moisture content. Owners are often advised to switch to a wet cat food to help with weight loss. The reason behind this is that a much larger volume of wet food usually contains roughly the same caloric value as a quarter of a cup of dry food. Your cat will likely feel fuller, and as a result, consume less calories when eating wet cat food. Wet food for older cats can solve appetite issues that arise due to tooth discomfort, or other age related aggravations that may lay undiscovered for some time. Provided you’re sticking to well known brands, it’s safe to assume that both dry and wet cat foods are nutritionally complete. The only major difference between them is the moisture content. Very high moisture content is found in cat foods for urinary tract health, since ample hydration can relieve symptoms and stop urinary crystals forming. Providing adequate hydration for cats fed dry cat food is something that can be easily remedied with the use of a cat water fountain. With all this in mind, remember that you aren’t forced to choose between either. You’re allowed to use a combination of both wet and dry cat food to ensure your cat has a healthy and diverse diet that contains all the nutrients they require.